CCSD Department of Instructional Technology | Synergize Your Cobb Collaborative Community with Microsoft Teams! 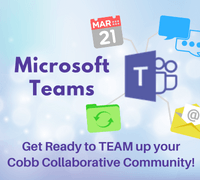 Synergize Your Cobb Collaborative Community with Microsoft Teams! Get Ready to TEAM up your Cobb Collaborative Community! Be on the lookout for Microsoft Teams in your Office 365 Suite. Teams allows you to communicate with colleagues, share files, and reduce email correspondence- all in an easy to use application. Create and join Teams for your various collaboration needs. All your Teams are visible in this part of the application. You can quickly navigate to a CCC Team with colleagues. One or more channels can be added to a Team. Communication in a channel can be seen by everyone within the Team. You can use the @ sign to have a person or whole group notified. Channels operate like an Edmodo class. Chat provides a platform for private conversations. You can private message one or more people within Chat. You can also favorite a Chat and rename it to represent a group. This area of Teams alerts you to places where you have been tagged or when responses have been given in threads where you previously commented. Meetings syncs with your Outlook calendar and shows your calendar for the day. Files connects you to your OneDrive files. In addition to these standard features in Teams, OneNote Notebooks, Forms, and other media can be linked to a Team or Channel. 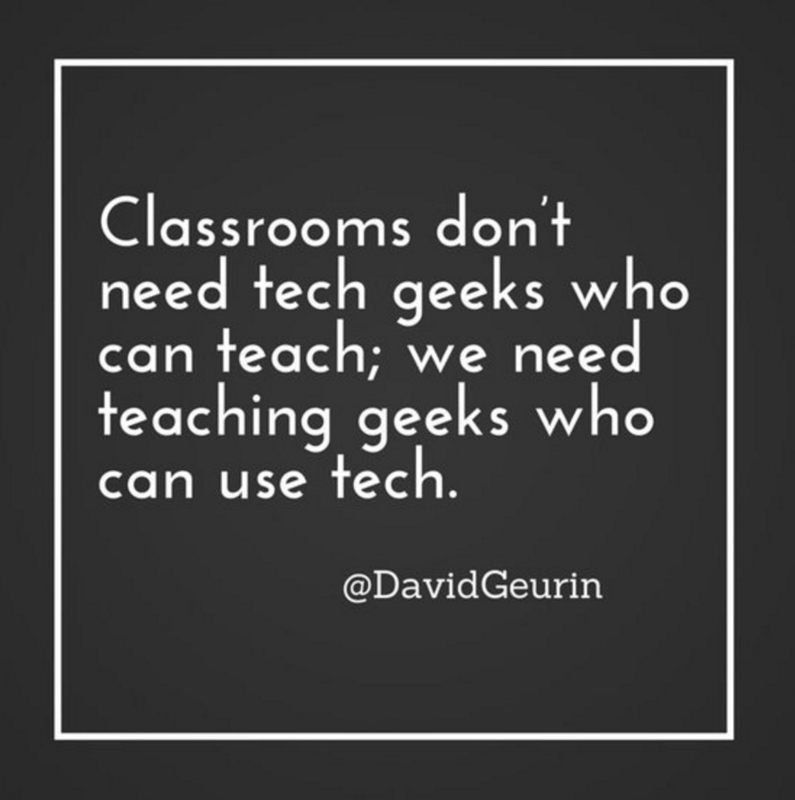 Check out the Instructional Technology Office 365 page or Microsoft’s Team page. Contact your local school TTIS for additional support.